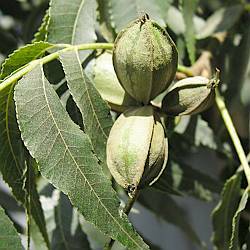 Comments: Deciduous broadleaf native to the Mississippi Valley and surrounding areas. Leaves are pinnately compound with 5 or more alternate rows of serrated leaflets terminating with a large apex leaflet. Fruit is an elongated nut encased in a green husk. 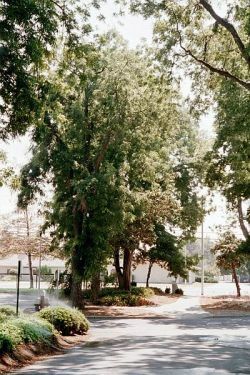 Mature trees to 100' or more with a broad crown. A double row of pecans line the drive to the Shinn house.